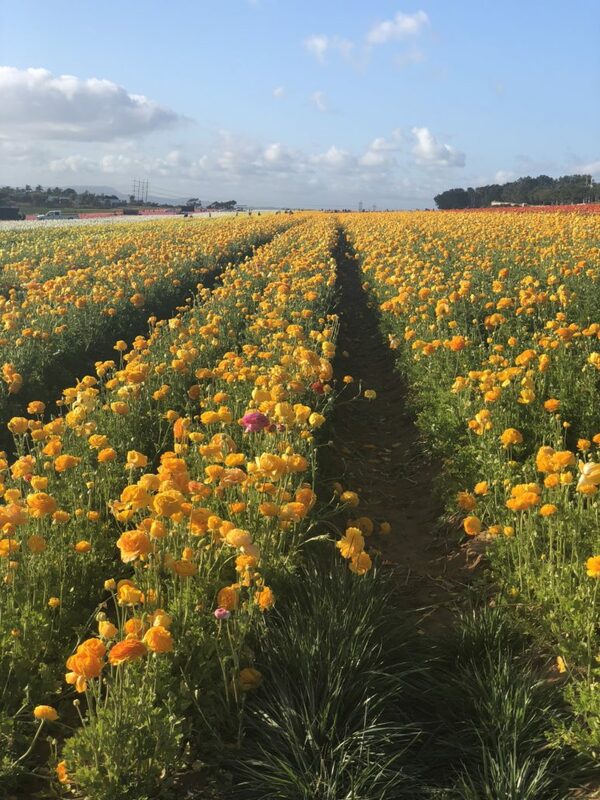 How is it that I’ve lived in San Diego for five years and this is the first time I’ve been to The Flower Fields in Carlsbad Ranch?? I have no idea why it took so long but I’m so glad I finally went! Have you been? Well, now’s your chance because they won’t be open too much longer. 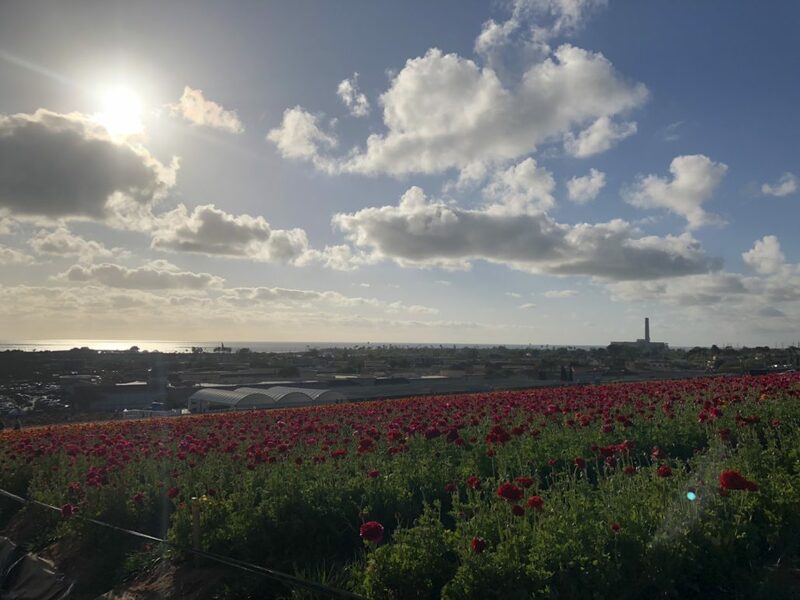 Below is my quick guide to the Flower Fields to help you plan your trip! If you’ve never even consider going, have a look and check it out, it’s something cool to do in San Diego this spring. 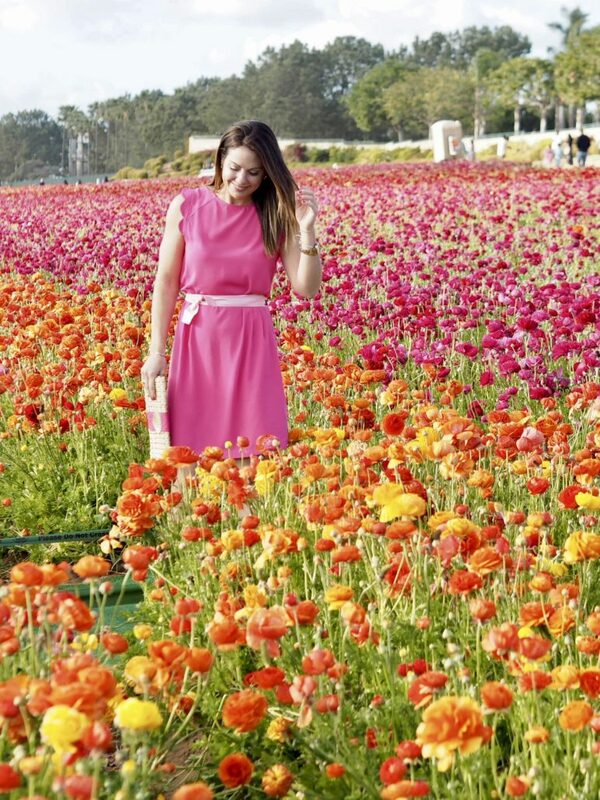 What are the Flower Fields at Carlsbad Ranch Anyway? 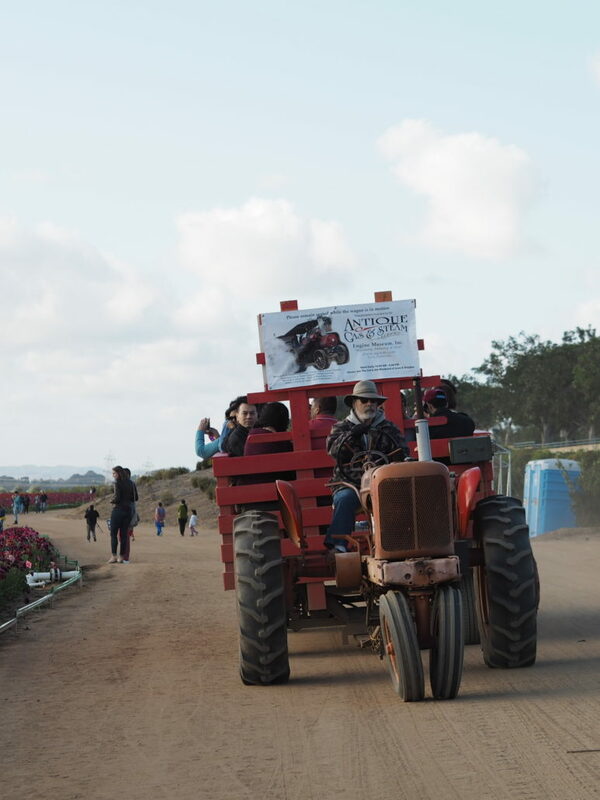 The Flower Fields have been around for 100 years, they are both a working ranch and a tourist attraction. 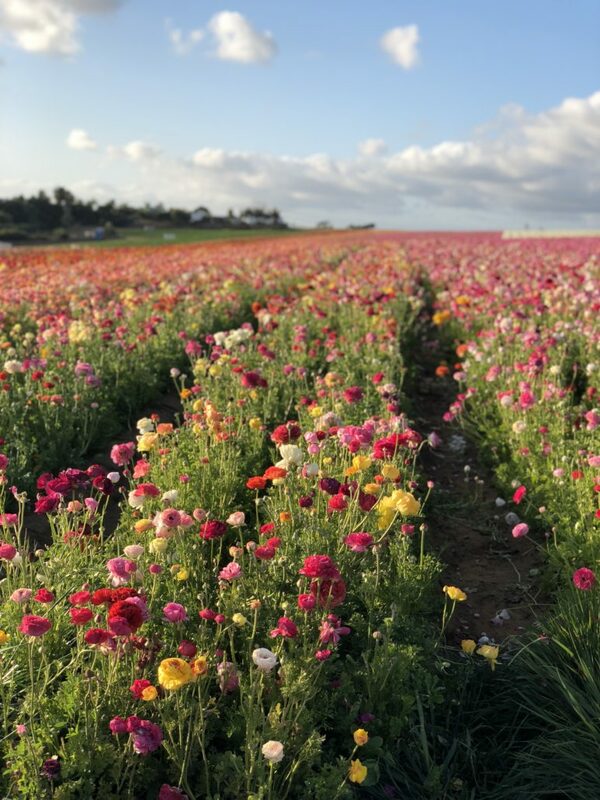 There are almost fifty acres of Giant Tecolote Ranunculus flowers, the Flower Fields started in the 1920’s with Ranunculus seeds which were were not common to San diego, they are native to Asia Minor and ranged in reds and yellow with a single petal. The diverse range of colors we see today was created by the different seeds over the years by the founders of the field. (Read more on the history here). What Time of Year are They Open? 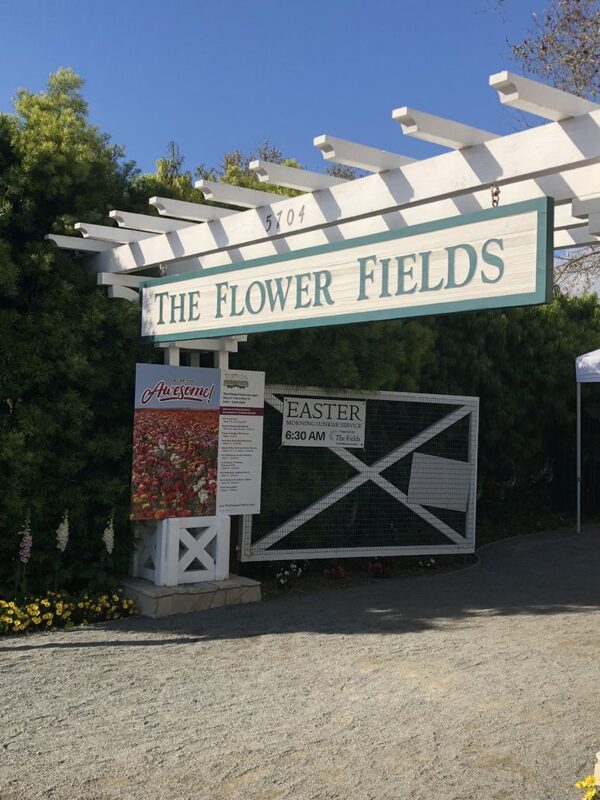 The Flower Fields are open March 1 through May 13, 2018. 9 a.m. – 6 p.m. daily. The best time to view the flowers is usually mid-March through Mid-April, I went in mid-March and as you’ll see in my photos, most of the flowers were in full bloom. Parking is available on site but can get very busy so plan accordingly, see the Bicoastal Beauty tip fo the week below for a great alternative option on parking. Cameras!! There are so many instgamrammable moments, get your cameras ready! Bring comfy shoes, you’ll be walking a lot (this saved me during my trip)! Get your photo opps! So many photos opps and you can see the ocean from the fields too, super cool. 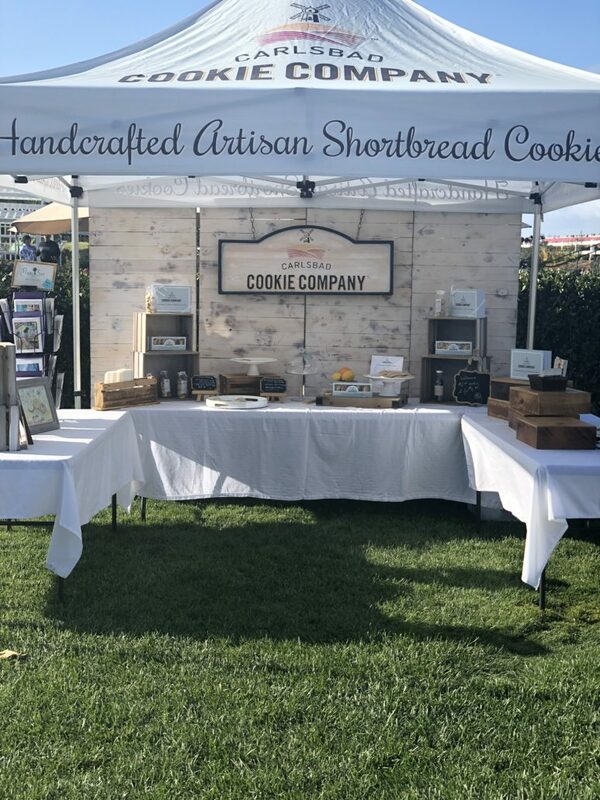 Shop the local vendors on-site (weekends). 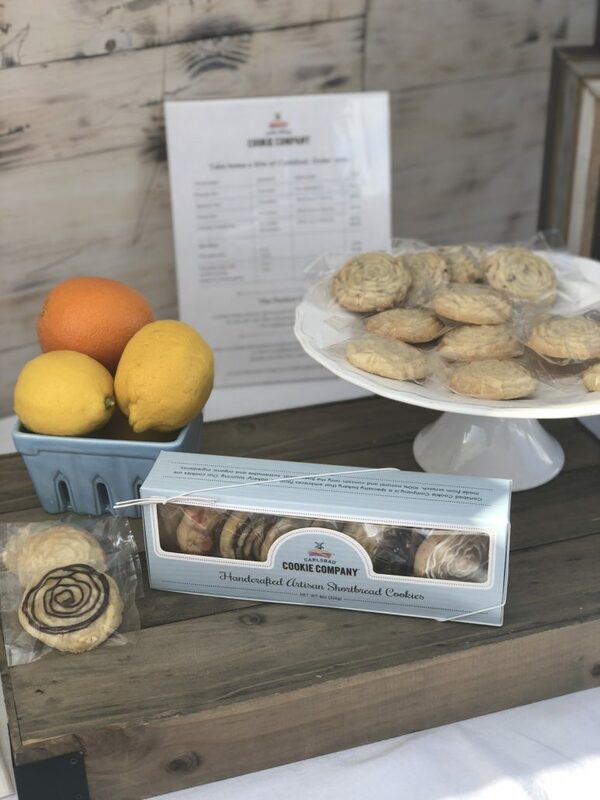 Eat some Carlsbad cookies, oh my gosh they are delicious! 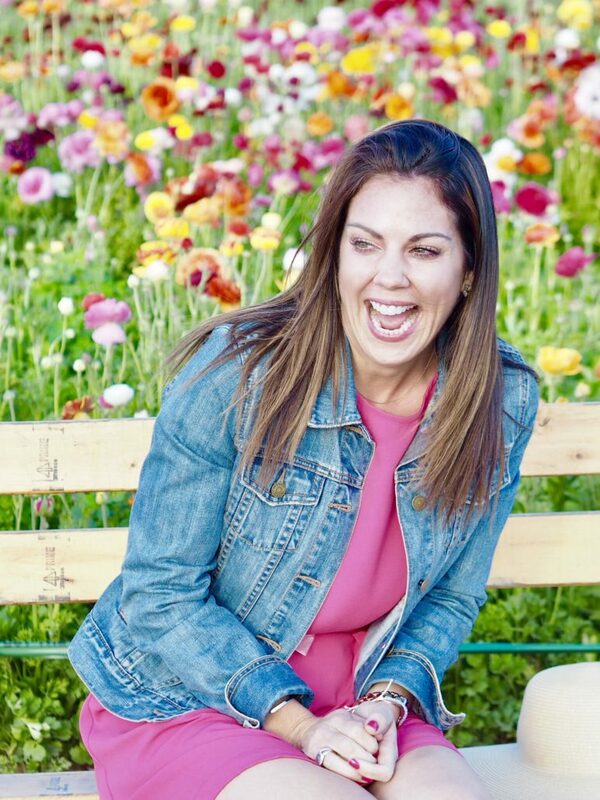 The Flower Fields encourages you to bring in food to picnic on site and they have several picnic areas, how fun is that (especially for kids, dates and to do with a few girlfriends). If you want to take a load off, get a wagon ride, this is fun for the kids too. Buy the Strawberries at the stand outside the fields for the ride home, yum!!! You can host events here!! Do you want to get married here? Host a big event at the Flower Fields? The barn can accommodate up to 200 guests for events, galas and weddings and the fields host events weekly, everything from photography courses and basket weaving to floral arrangements and painting! How fun, right? 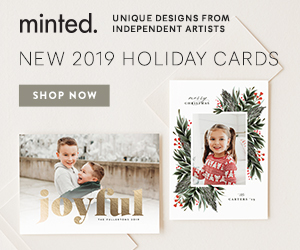 Click here to view their events calendar. I was able to do it all in about an hour, I would plan for one or two hours, that should be all you need. Can’t Visit the Flower Fields? If you can’t visit the Flower Fields, don’t worry! You can still purchase bulbs from this amazing horticultural site here: EasytoGrowBulbs.com. What you can’t tell by the instagram photos…. Tell me, have you been to the Flower Fields yet? What was your favorite part? Would you like to see more of these local posts and travel activities? I would love to share more, comment below and let me know your thoughts! Combine the trip with shopping! The Carlsbad Premium outlets are right next door to the fields! 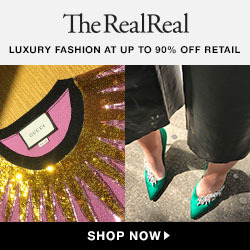 90 stores including Banana Republic, Barneys New York Warehouse, BCBG Max Azria, Cole Haan, Dooney & Bourke, Elie Tahari, Gap, Guess, Lacoste, Theory, Tommy Hilfiger and more. Hot tip, if you go to the shops you can leave your car parked there and walk right over to the fields, it’s so close! And shop my look below, with another tip, add a belt to a dress to give it more shape. That’s what I did here with this dress! I used a belt that came with an old bridesmaids dress I wore but I also linked some belt options for you below. The Flower Fields are so beautiful right now! You look amazing in that dress and the cutest thing on earth!! Wow! I definitely need to make a visit here! This looks amazing!!! So beautiful! Oh my goodness, these flower fields are sooo beautiful! Will need to bring my family to visit here someday! I’ve been dying to visit San Diego, it looks beautiful! What a beautiful field! It compliments your pretty pink dress beautifully! 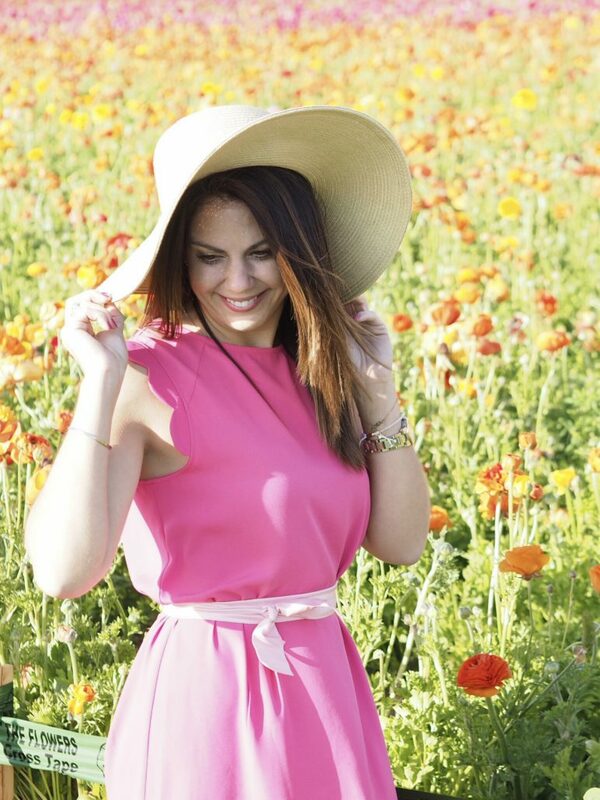 Those flowers fields look so gorgeous!! Your dress looks so perfect in that setting! Those flower fields are so gorgeous! Perfect for spring time! This flower field looks so beautiful. You definitely should, they are really beautiful!The family would love them! Thanks so much, Ada! They are! I’d love to go here and take photos! San Diego is one of my favorite cities. omg these are SO BEAUTIFUL! I want to go!!! Yes! Such a great photo opp spot, Greta! Thank you, Jasmine! It was stunning, such a fun trip!